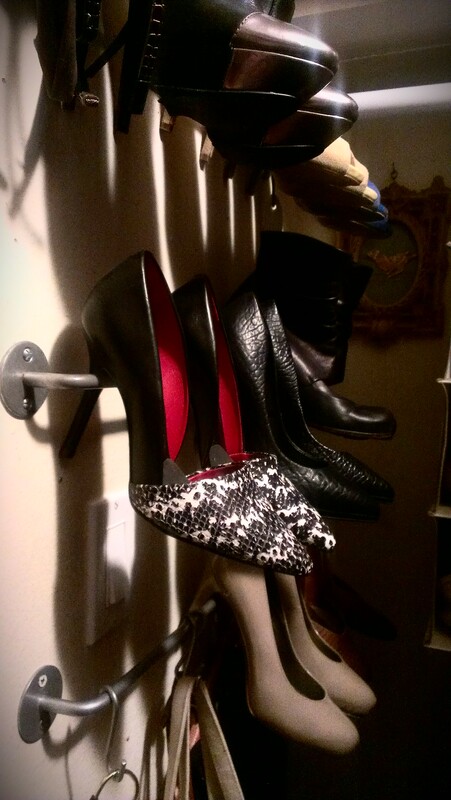 This turned out to be a very easy, presentational, and inexpensive way to store shoes! These 2.99 Ikea rails go up with just two screws each and can hold 3 pair of shoes. 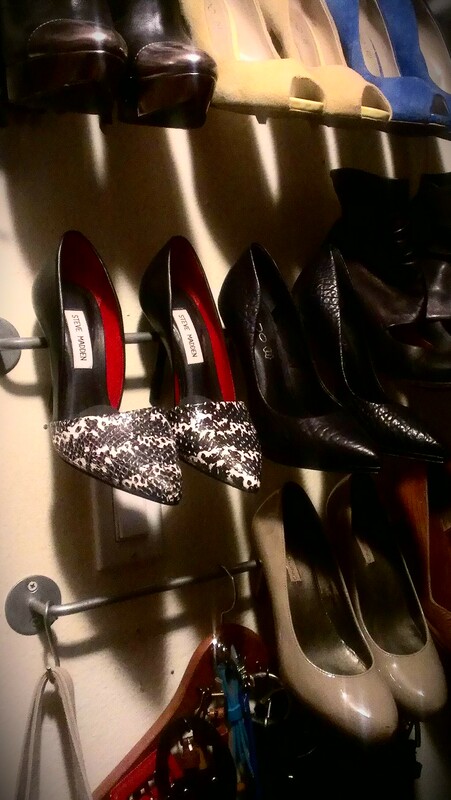 I chose to hang 2 pair on the bottom rail and also use s-hooks to hang a belt rack + purse. It’s the happiest I have been with heel storage so far!